As it is easy to hold the weight and the hand enough, it is a product that can be satisfied in terms of price compared with the manufacturer's product. This review is about item#29885826. There is also a weight, I think it is cheap to use. As it is an amateur, I do not know in detail, but this product is enough. I am satisfied. This review is about item#29885817. It is a necessity to be sure to put in the tool box, I am satisfied with making firmly for the price. I used it several times, but both in weight and handy feeling. The angle of the hammerhead and the branches is delicately opened. When I want to strike with the force, the contact surface looks slippery and I am worried. I would like to ask you to review the angle once more. The item that came first was bad for the angle of attachment of the head, and returned goods exchanged but things in exactly the same condition arrived. 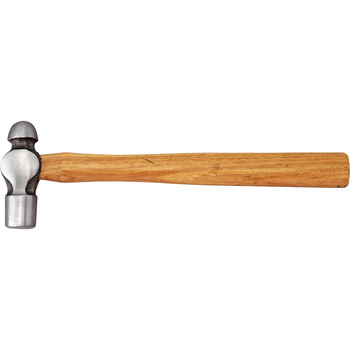 The angle between the hammer head and the handle is too large to be usable. As expected it is only cheap. I can not recommend it at all. This one's thing is pretty tiring if the balance is bad, but this product did not feel so much fatigue. Moreover, the stability of the head is also satisfactory level. For myself without myself, it will not work without it. I am very satisfied. This review is about item#8744802. Even if it is cheap enough to be easy to use. I could buy it at half price of home center.